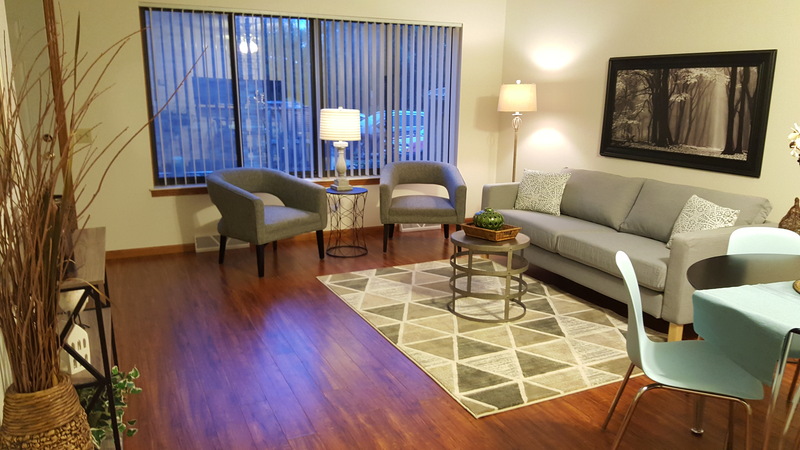 Premiere Stagers & Realty rarely stages rental units, usually because they get rented quickly in Madison, WI. In this case, however, the rental agents were not quickly renting out their 3-bedroom townhouses. Townhouses are such a great idea for young families, roommates, students, or people wanting more privacy than a typical apartment. This townhouse has 3 bedrooms upstairs and a basement with storage, its own washer and dryer, plus a family room. 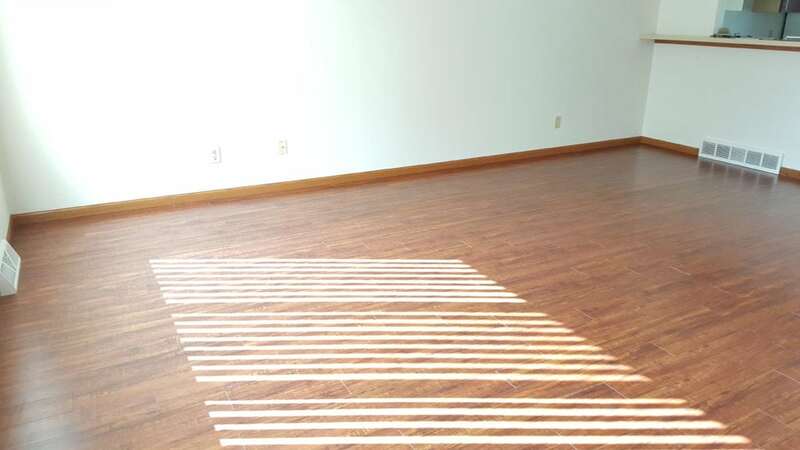 No matter if a rental or not, most vacant rooms look smaller. 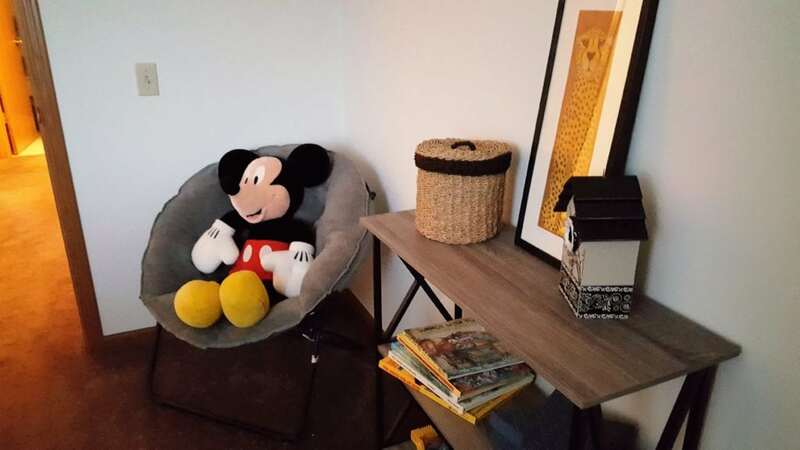 People are hard-pressed to visualize if their belongings can fit without some frame of reference, such as furniture and accessories. 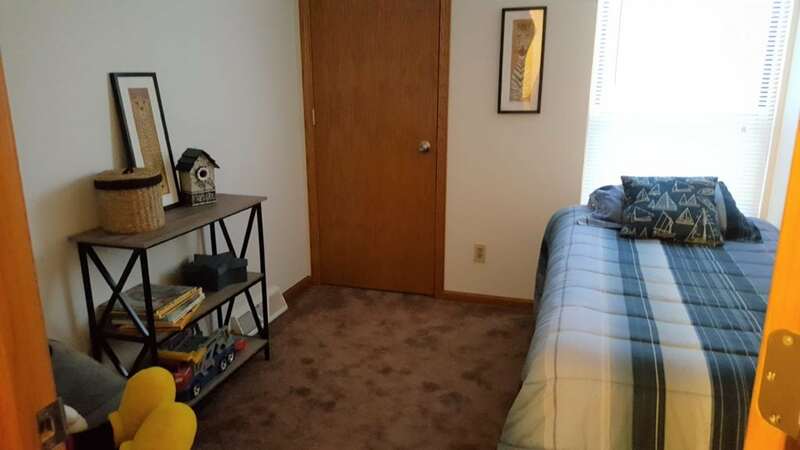 The rental agents said it was the third bedroom that was most problematic for potential renters. They could not imagine even a single bed fitting within the room. I agree if the headboard was positioned on either wall, it would cut the room in half, making it less efficient with little floor space. However, by putting the bed up against the window, the closet is easily accessible. 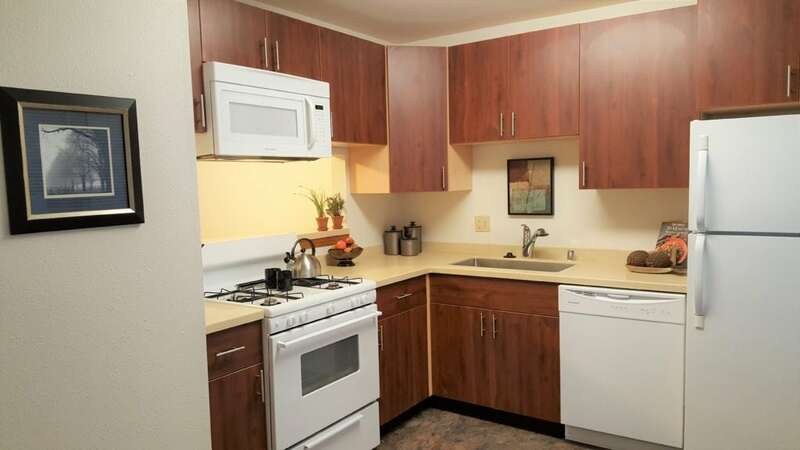 The kitchen has full-sized appliances and can accommodate informal dining near the window (out of sight on right). There are shelves located behind the door to the basement, making efficient pantry space. The coat closet and powder room are nestled within the hallway. 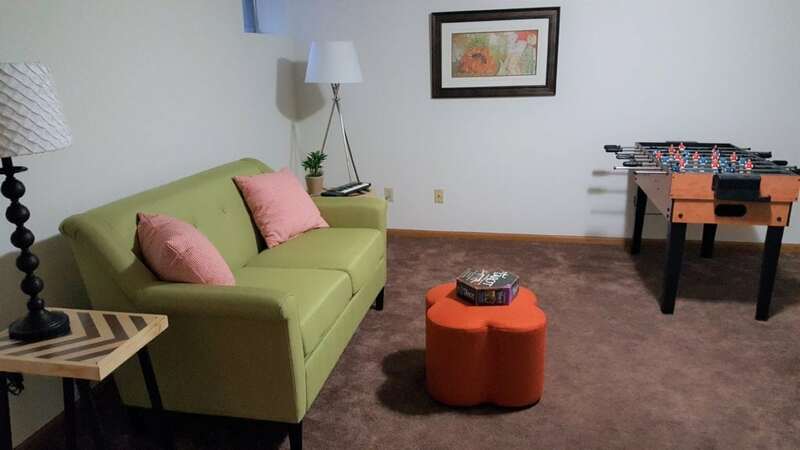 This space is perfect for TV watching or video-gaming. 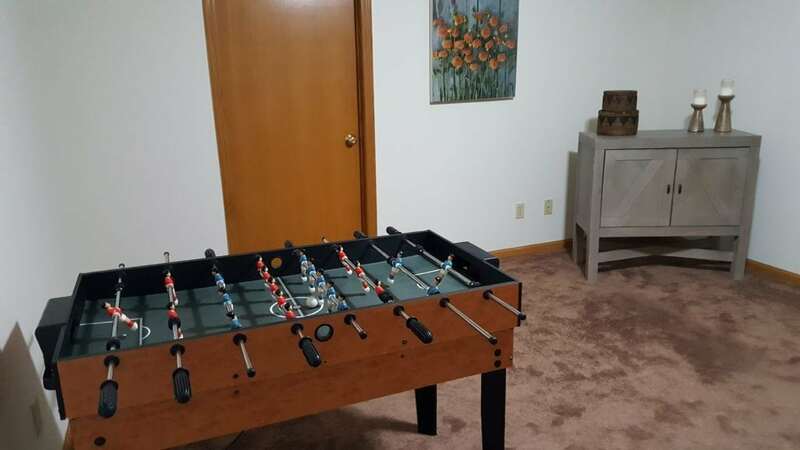 The kids would also enjoy playing foosball or air hockey, or board games. It could also be set up as a home office as it provides quiet, private time. Just beyond the door is the basement storage and washer/dryer. 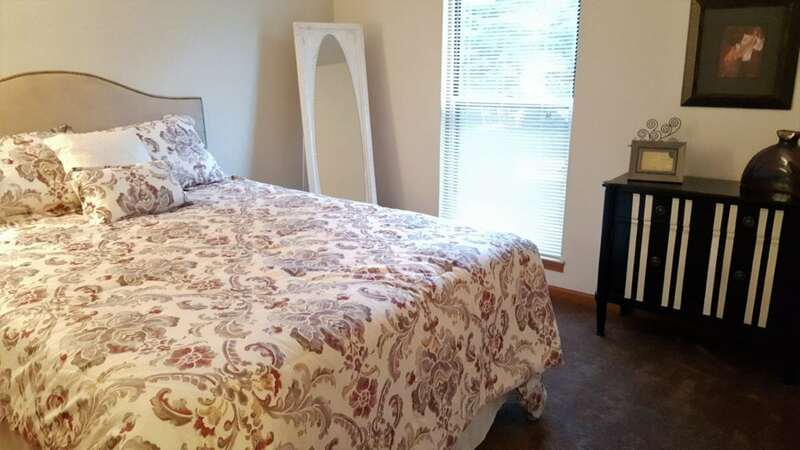 The master bedroom is similar in size to the 2nd bedroom, however, the closet is slightly larger. 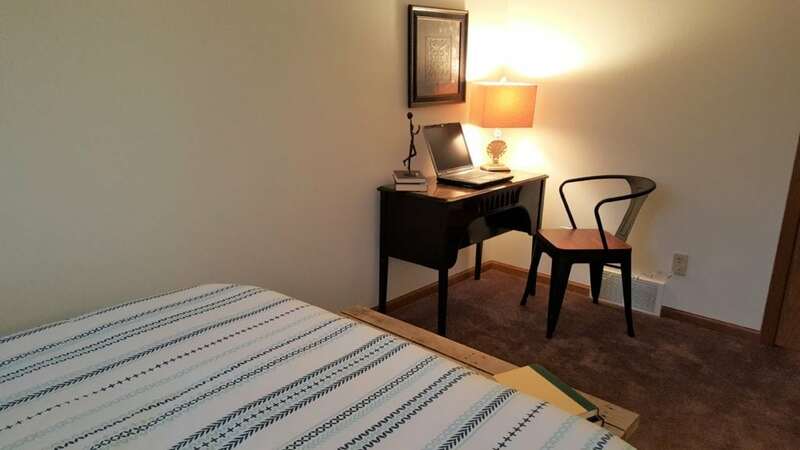 So, if two roommates are renting, each will have a similar sized bedroom and the third bedroom could be used as an office. The main bathroom is just down the hall. This 3-bedroom townhouse is easily accessible whether traveling to the west or east side of Madison. My vacant staging statistics make it likely all these larger units will be rented soon. 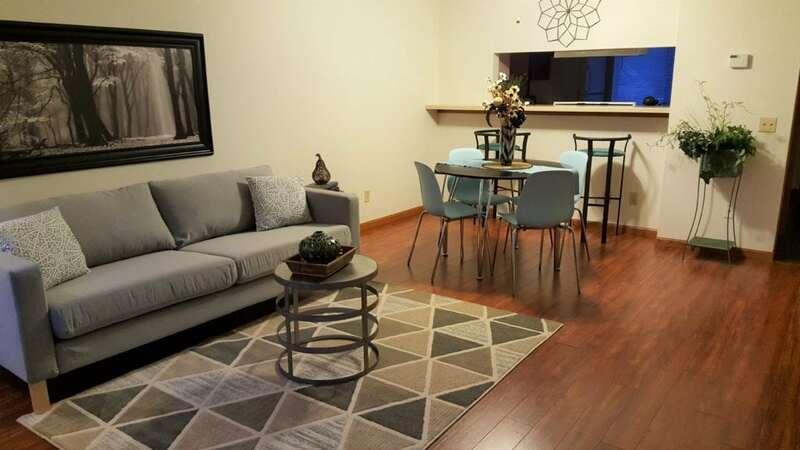 The rental agents have wisely chosen to highlight this unit with an online video. 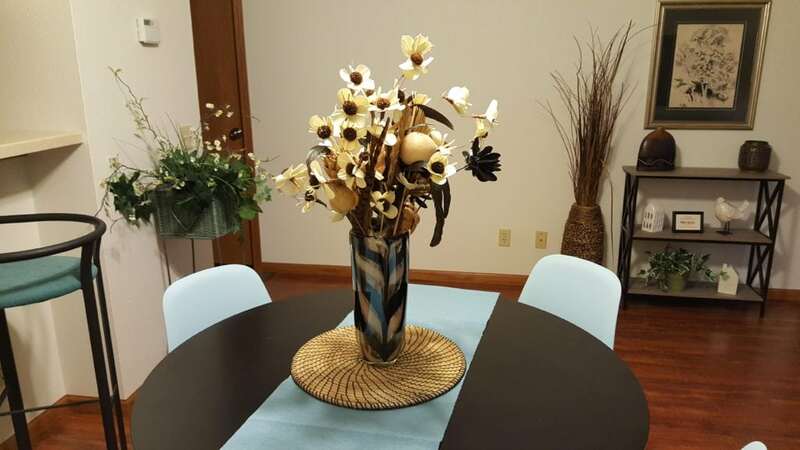 Call Premiere Stagers & Realty for any of your staging or selling needs. 608-345-9396.